Getting to know Mike and Melissa before their wedding day we quickly realised they weren’t your typical bride and groom. Nor was this going to be a traditional wedding day!! In fact, if it wasn’t quite them it got the cut, quite literally! Hence Melissa’s wedding dress was short, as Mike is quite found of said legs! Mike made sure he got his grand entrance to the ceremony, not just Melissa! There was no sit down dinner either! Such is the nature of Mike and Melissa. They’re a unique couple who figured this was their wedding, and it sure was going to reflect who they were as a couple. So here it is. Mike and Melissa’s crazy-small-van/short-dress/barefoot/forest wedding video! Even before their wedding day we knew this was going to be a pretty epic day! For it’s not technically what a wedding day looks like that floats our boat. But rather it’s who’s getting married that makes the wedding day so exciting! Mike and Melissa left us with no shortage of inspiration. In the weeks leading up to their wedding we literally received pages upon pages of notes on who they were as people and how they came to be. We knew about Mikes go everywhere in bare feet and his famous stick drawings. As Melissa said in her speech “how totally random, unpredictable, inappropriate and spontaneous you are” which pretty much summed up Mike’s morning! And then there was Melissa, a driven perfectionist who knows how to get things done. And I think that showed with the insane amount of effort that went into such an epic barn wedding venue out in the middle of nowhere! Melissa is also very much a people person through and through. I still remember arriving at her place and it was just such a warmth of family, laughter and special moments. And the sun hadn’t even risen at that point! He aha te mea nui o te ao? He tangata. He tangata. He tangata! What is the most important thing in the world? It is people. It is people. It is people! It’s one of my favourite quotes and really sums up the thought behind the wedding films we try and make. A story about two people and their excitement in getting married, which is Mike and Melissa to a tee! We photographed their wedding too. 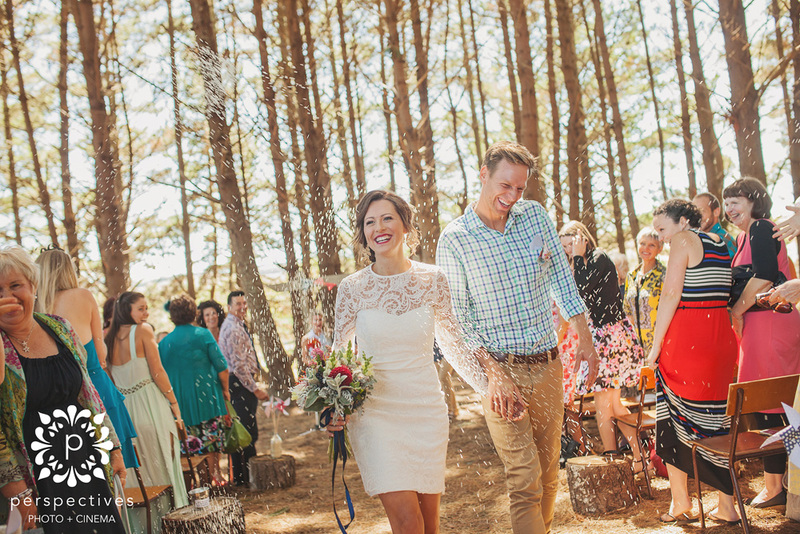 So click here >>> forest wedding <<< to check out all the photos from their day!